The partial government shutdown is already affecting federal court proceedings in Alaska. Nationwide, the federal court system will run out of money on Jan. 31, on what would be the shutdown’s 41st day. But some court cases have already been postponed or suspended. U.S. Courts say they have enough money saved up to continue operating for a few more days. But, after Jan. 31, those funds will run out and employees will be working without pay. Stephanie Lawley, the chief deputy clerk for the U.S. District Court in Alaska, said most Alaskans may not notice anything. That may be true, but with one big exception. U.S. District Court Chief Judge Timothy Burgess, the top federal judge in Alaska, has already ordered suspension of civil cases in which the federal government is a party. Hearings in a few criminal cases were cancelled earlier this month, then rescheduled as U.S. Courts recently extended available funding to Jan. 31. 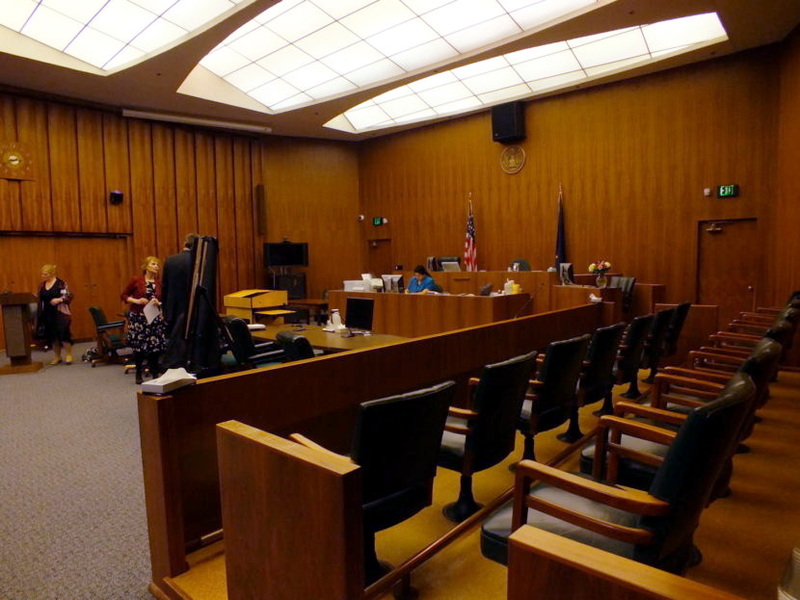 In Alaska, there are two judges and three magistrate judges, plus four senior judges who continue working and hearing cases even though they’re past the typical retirement age. There are also employees working in various other capacities at five federal courthouses in Anchorage, Fairbanks, Juneau, Ketchikan and Nome. Federal public defenders are a lot like their counterparts in the state court system. They are assigned to represent clients who cannot afford to pay for their own attorney. But federal defenders’ salaries are paid by U.S. Courts. At least until end of the month, anyway. Assistant Federal Defender Darryl Gardner said they’ll be billed for portions of their health insurance if the shutdown drags on past two months. “So if we want, for instance, dental insurance to continue, we will have to pay that out of our own pockets as opposed to having, obviously, being deducted from our pay, because we won’t be getting paid,” Gardner said. Gardner is based in Anchorage, but he frequently helps clients around the state. Gardner said a total of four attorneys, three investigators, and four staff work in the Anchorage office. He said another attorney in his office has two children to support and just bought a house.